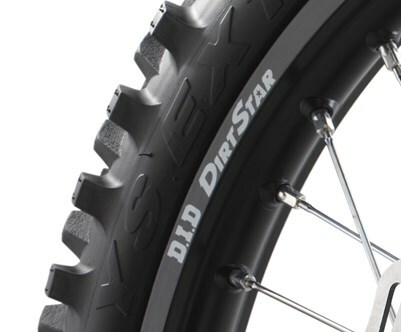 Ultra light and compact, this closed-course offroad bike is the ideal springboard into the enduro world. 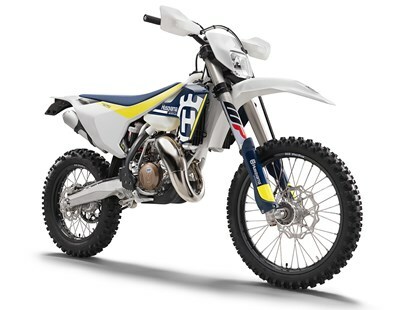 The TX 125 features the latest in 2-stroke engine technology. Replacing the previous TE 125 model, it has an all-new engine that is more powerful, lighter (by 1.8kg) and more compact than ever before. 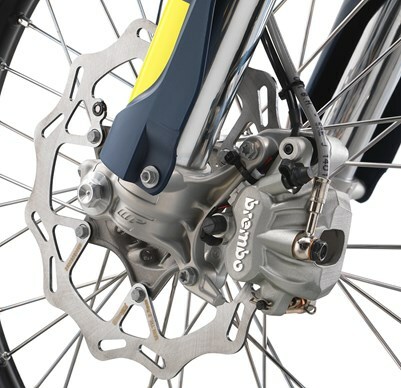 With a focus on improved mass-centralisation for effortless ride-ability and reduced rider fatigue. 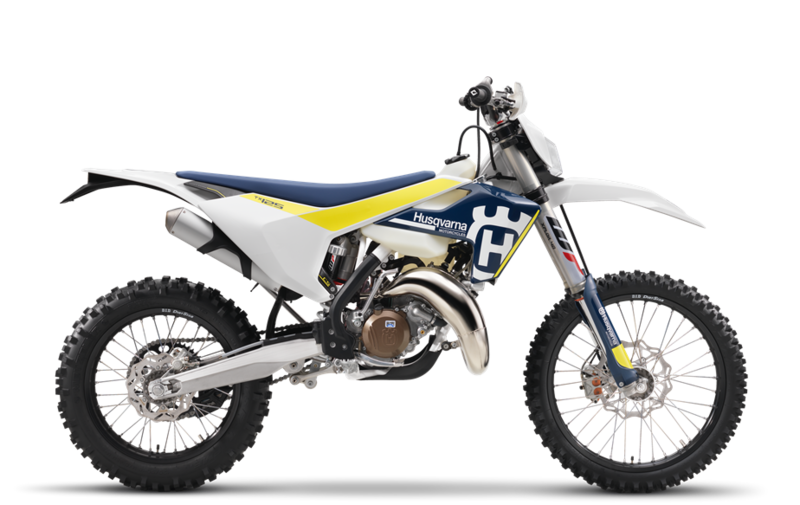 The TX 125 wears the same distinctive and progressive bodywork that adorns the entire range, along with an all-new chassis, swingarm and suspension. With functionally designed ergonomics and Swedish-inspired styling, this bike is built to stand out from the crowd. 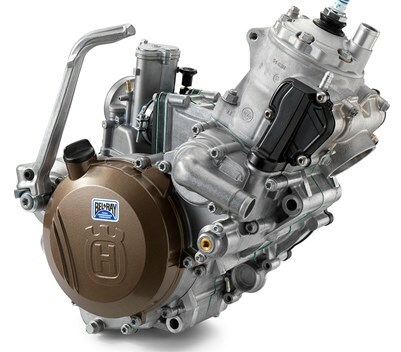 The new engine features a completely new construction featuring the latest in 2-stroke technology. 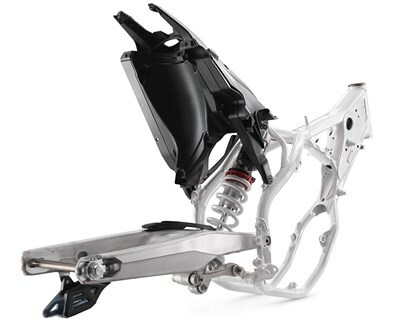 As a result the engine is more powerful, lighter (1.8kg) and more compact than before. Additionally, the new engine is designed to improve mass centralisation resulting in better ride-ability and reduced rider fatigue. 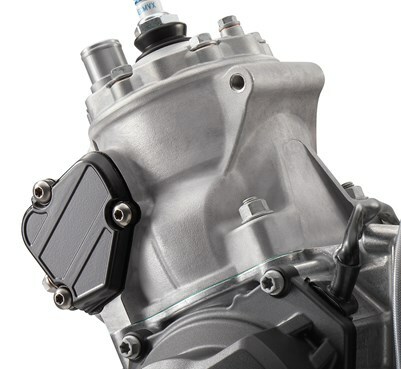 The TX 125 features a 38mm flat slide Mikuni TMX carburettor replacing the previous Keihin model. 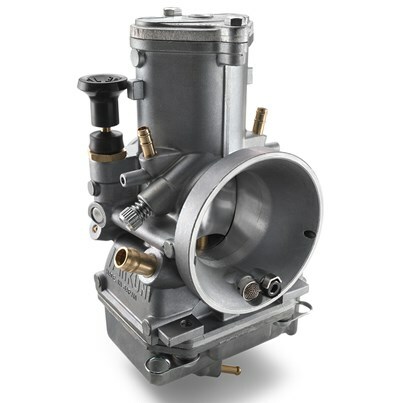 This new carburettor provides a smooth and controllable power delivery with optimal performance over the entire RPM range. Additionally, the new Mikuni model is less sensitive to changes in temperature and altitude which reduces the need for setting changes in different conditions. The new cylinder features a 54 mm bore. 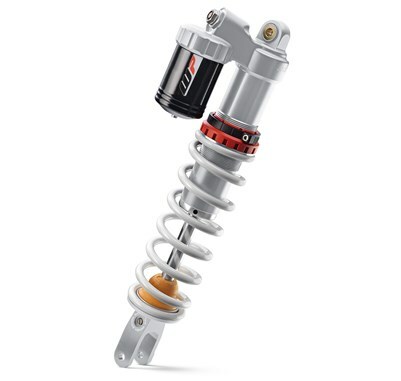 Combined with an innovative power valve design that increases power throughout the RPM range, the cylinder also features a redesigned water jacket which improves cooling and increases durability. The new piston is designed to perfectly match the new cylinder layout and offer premium reliability. High-pressure die cast production processes results in a thin wall thickness and a weight saving of 600g. In order to centralise mass, the new layout features a new shaft arrangement. The clutch shaft is now 27mm higher and the crankshaft 37mm higher reducing the effect of oscillating mass for more precise handling. 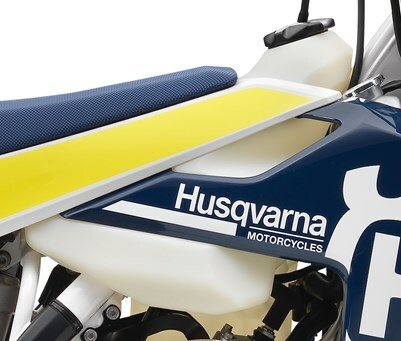 The historical Husqvarna logo adorns the bronze finished crankcase covers. 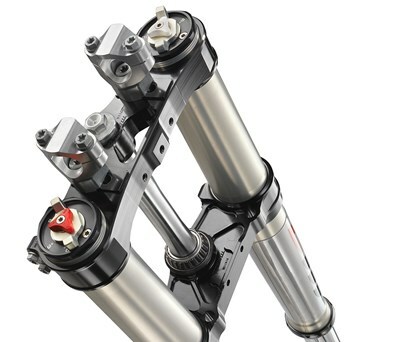 The hollow, cast aluminium swingarm is designed to offer optimal stiffness and reliability while adding minimal weight. 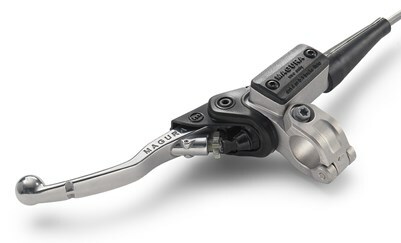 The machining above the rear axle allows the chain adjuster markings to be seen from above for easy maintenance. 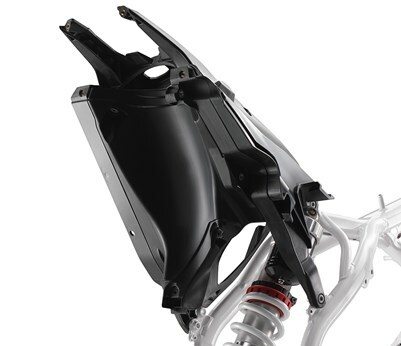 Hours of riding are guaranteed with a new, lightweight fuel tank made of translucent plastic. 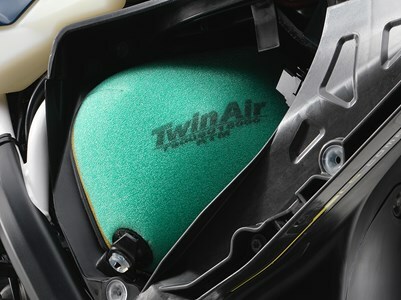 The design allows the rider to easily see how much fuel is in the tank while 10 litre tank features a quick release fuel cap for quick refuelling.